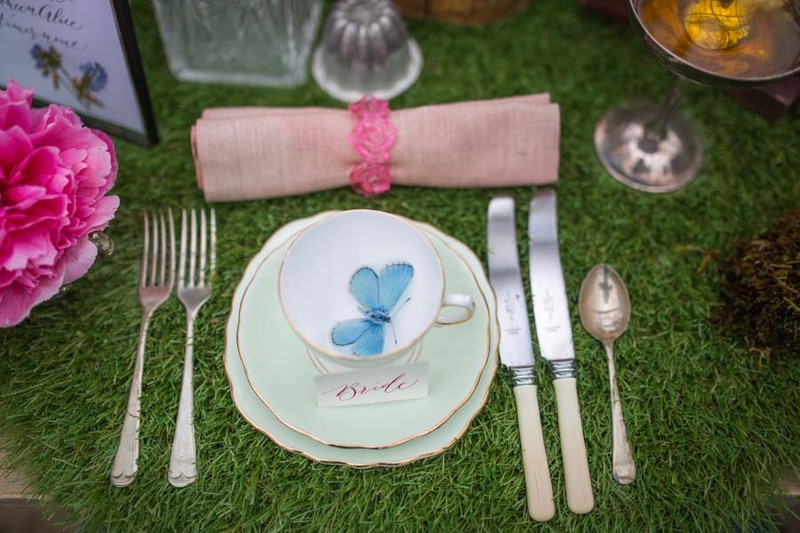 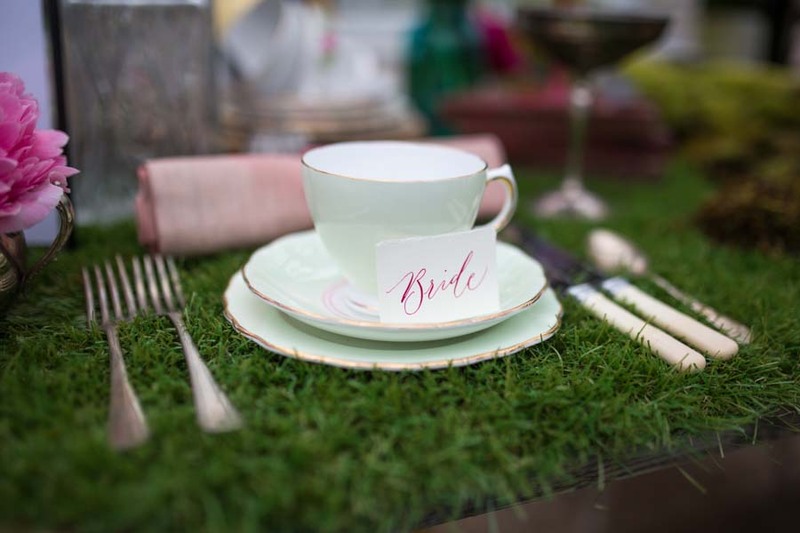 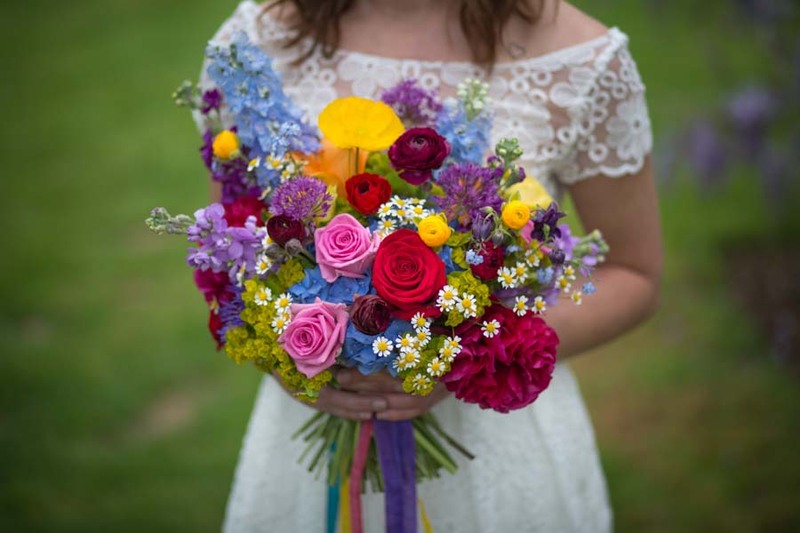 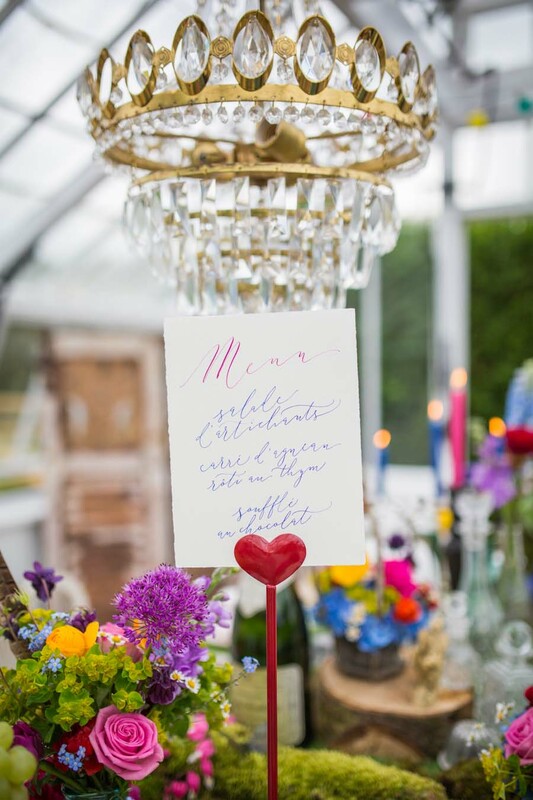 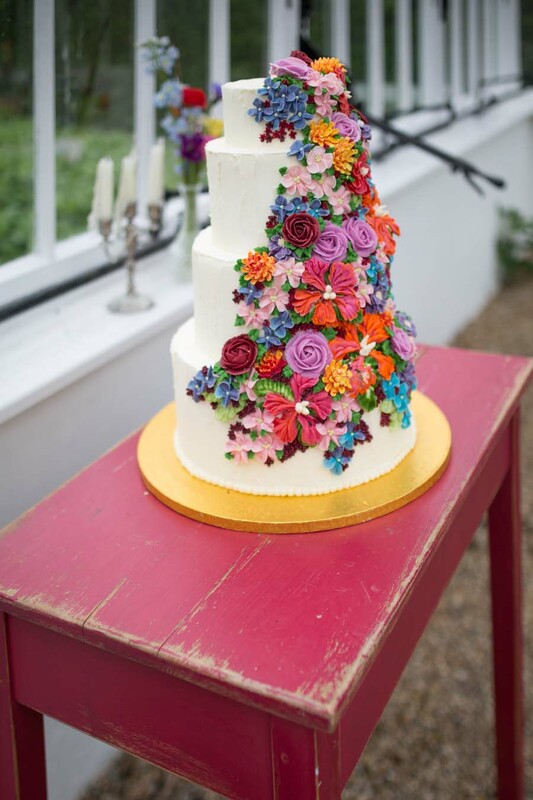 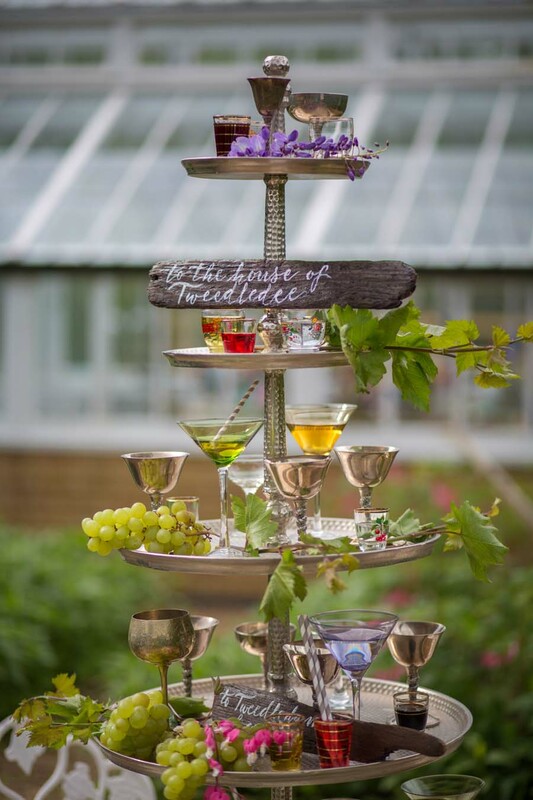 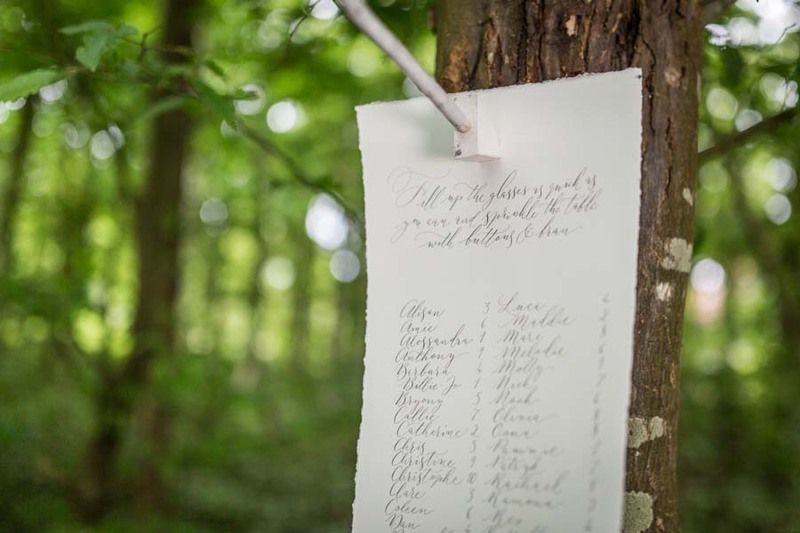 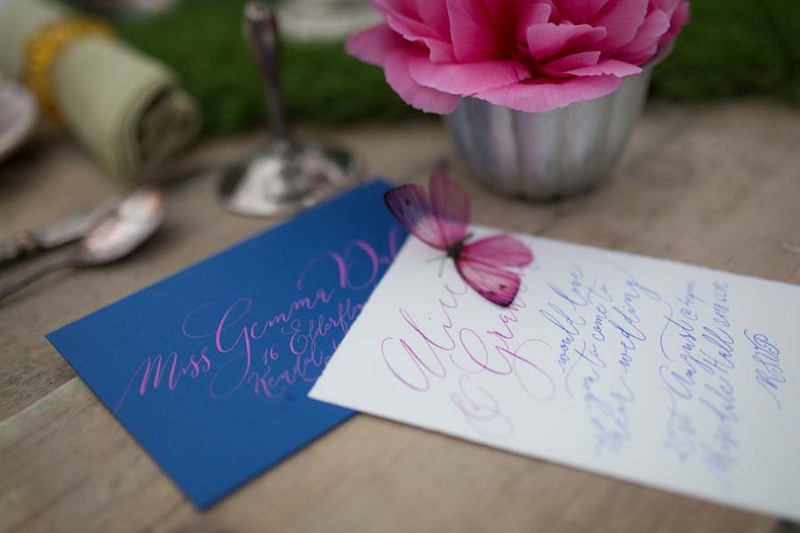 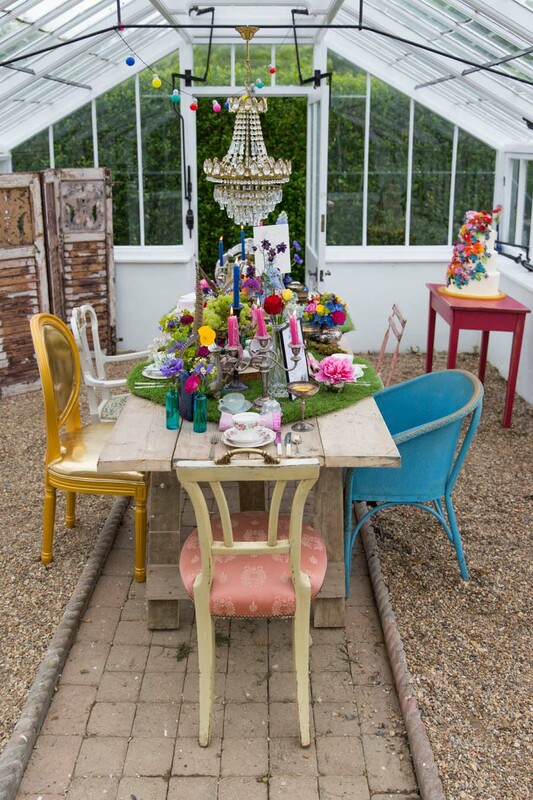 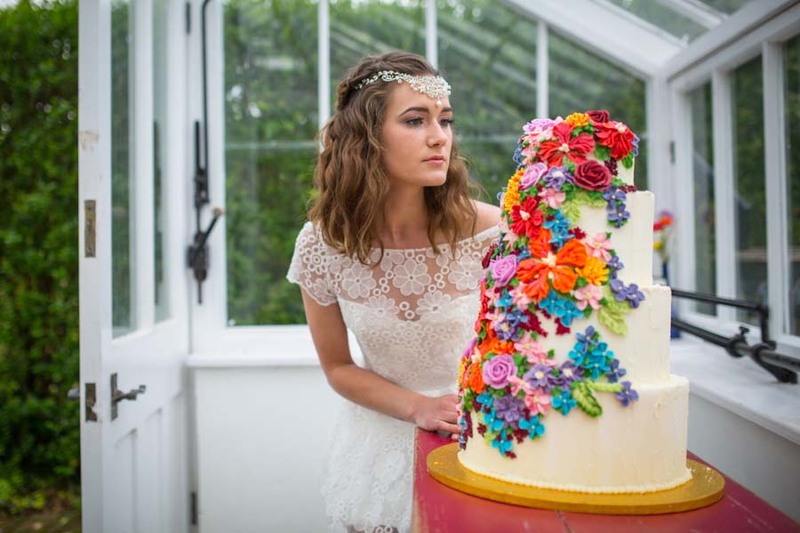 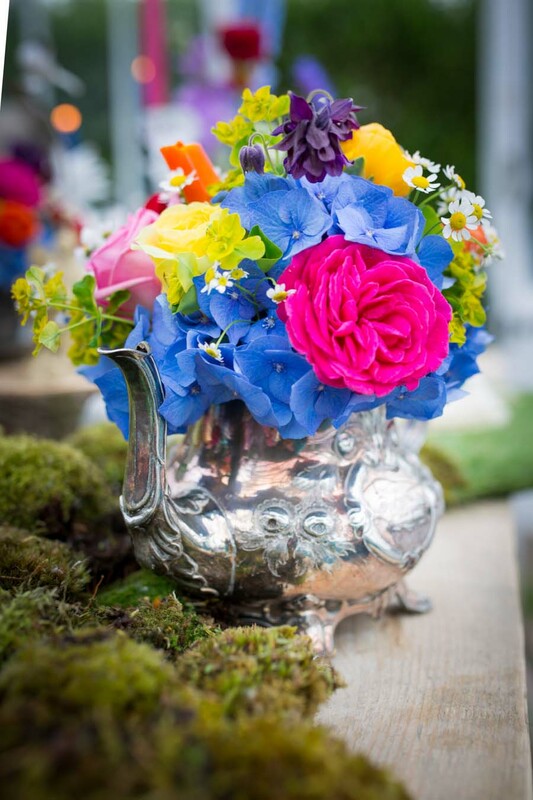 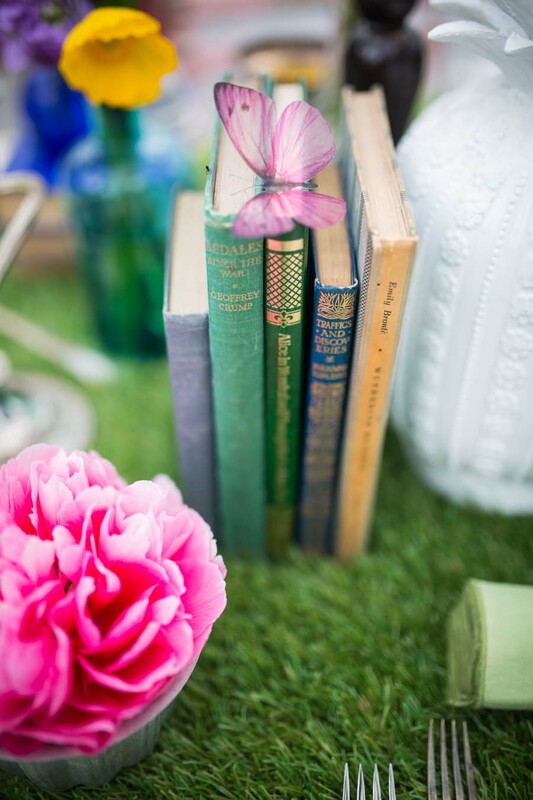 Today’s wedding inspiration is a cute mix of the colourful and curious! 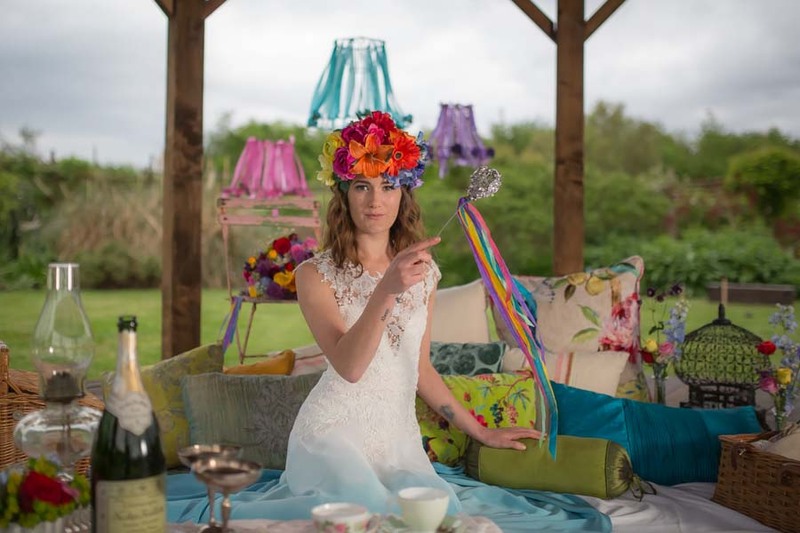 A fabulous team of talented wedding vendors put together this Alice inspired ‘Through The Looking Glass’ bridal shoot – and I have to say, I absolutely adore all the detailing. 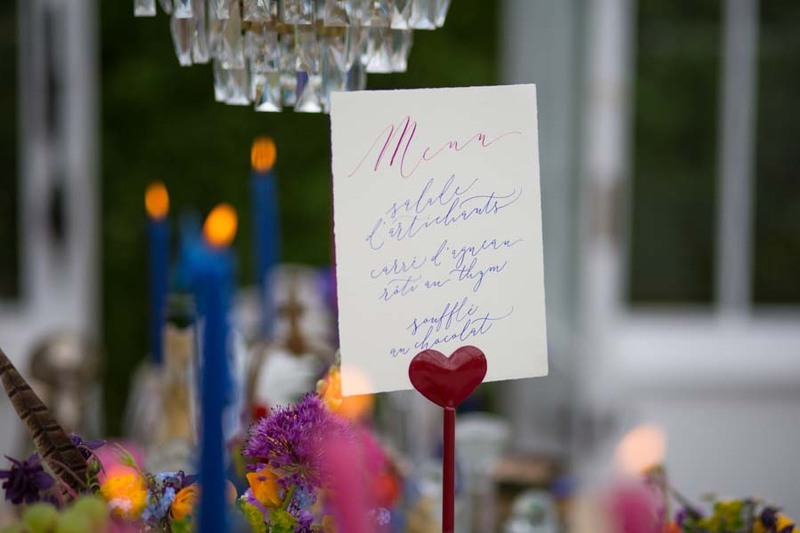 Words by Lisa Carey. 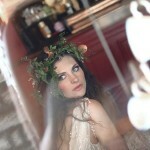 Images by Jodi Hanagan Photography. 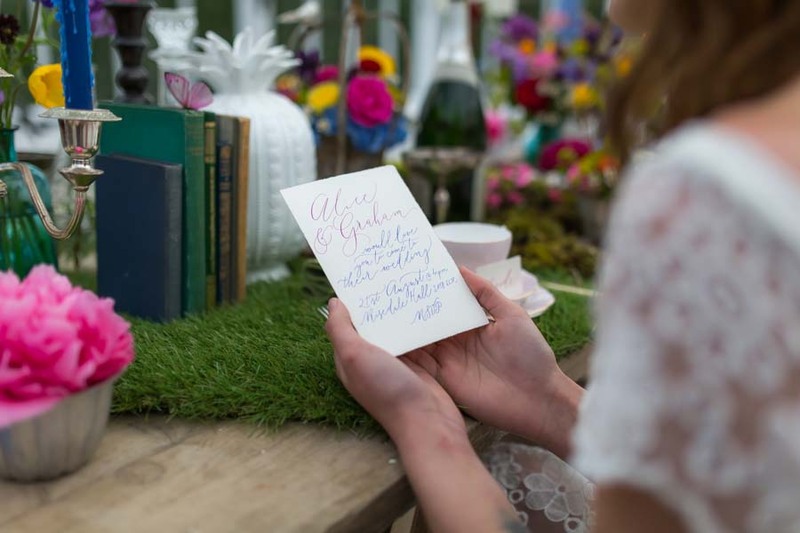 Wonderland remains such a popular choice with brides, which is no surprise because it’s just so much fun! 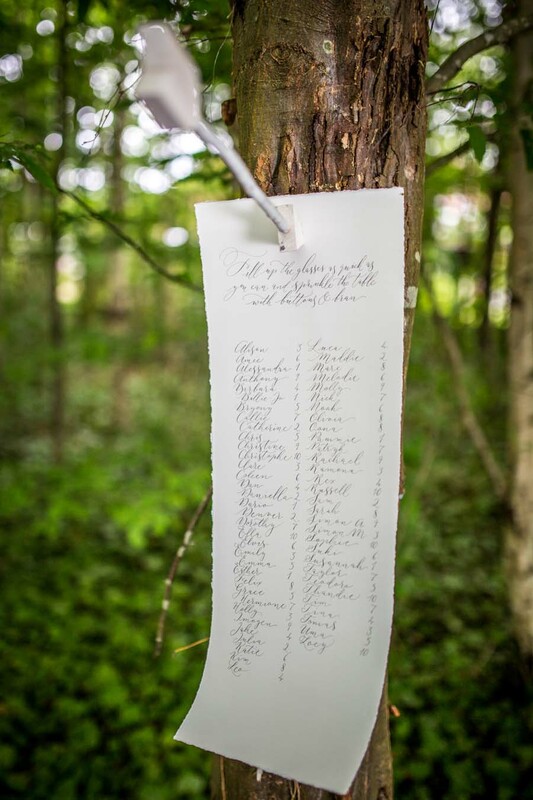 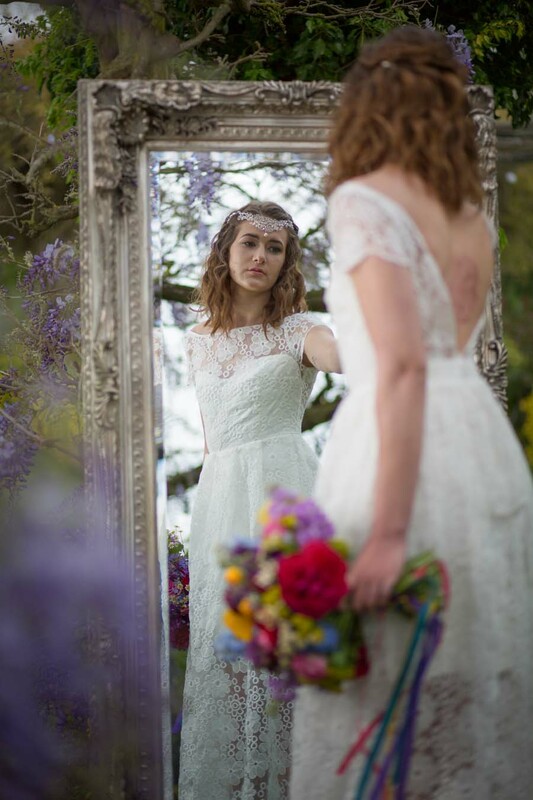 With the release of Through The looking Glass this summer, we spied an opportunity to take a fresh look at Alice, and to invite couples to indulge their own whims and fancies with subtlety and beauty; we wanted to capture the darker side of Victorian literature while at the same time embracing the spirit of today’s festival weddings- quite a task! 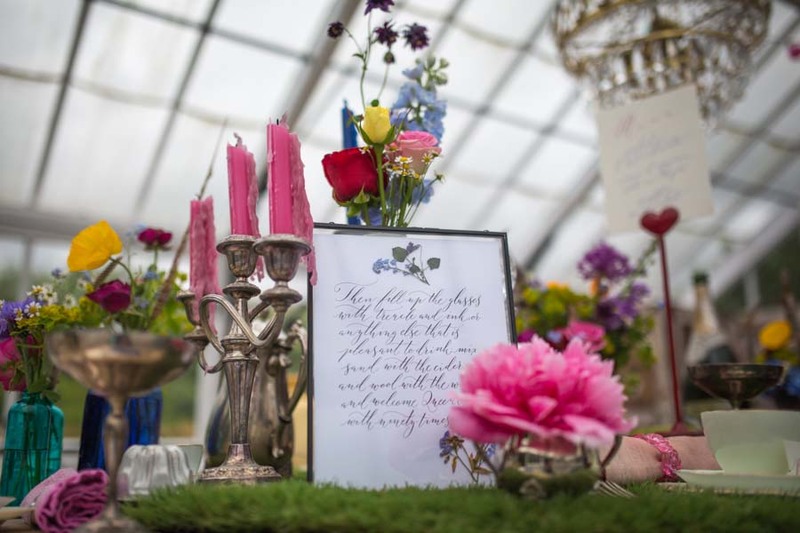 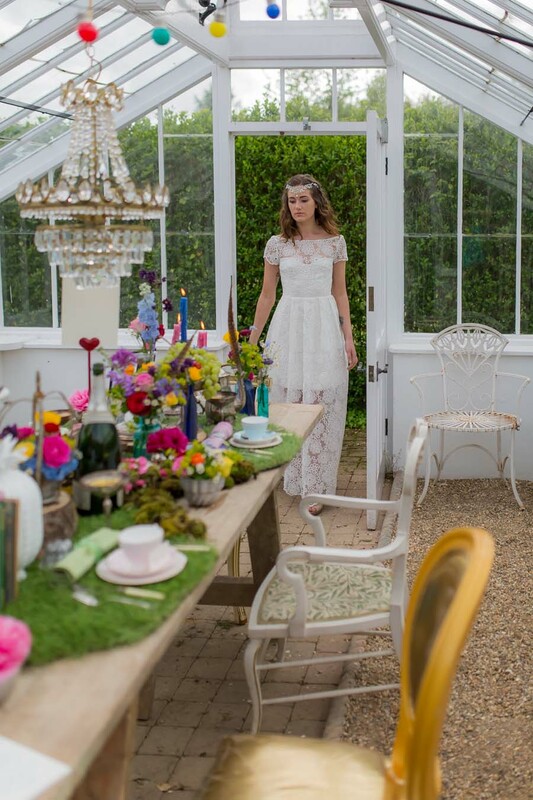 We went back to the original Through The Looking Glass novel and reinterpreted it for the modern bride. 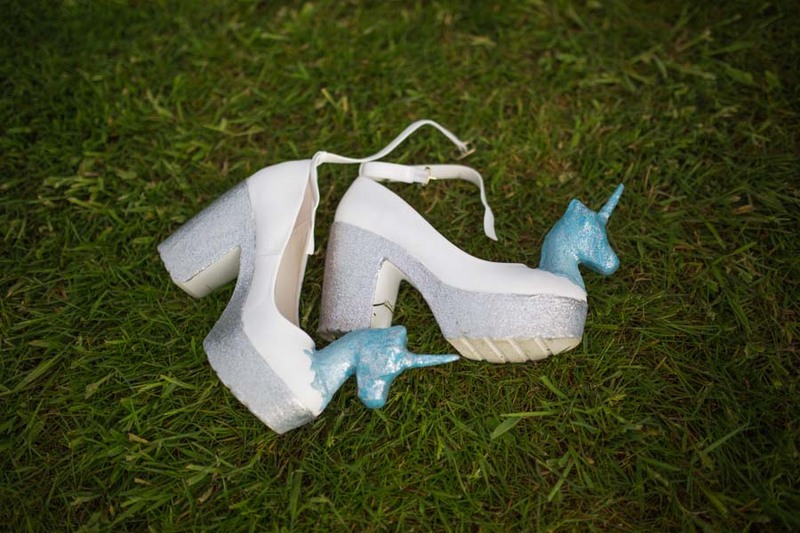 Out with the flamingos and in with unicorns! 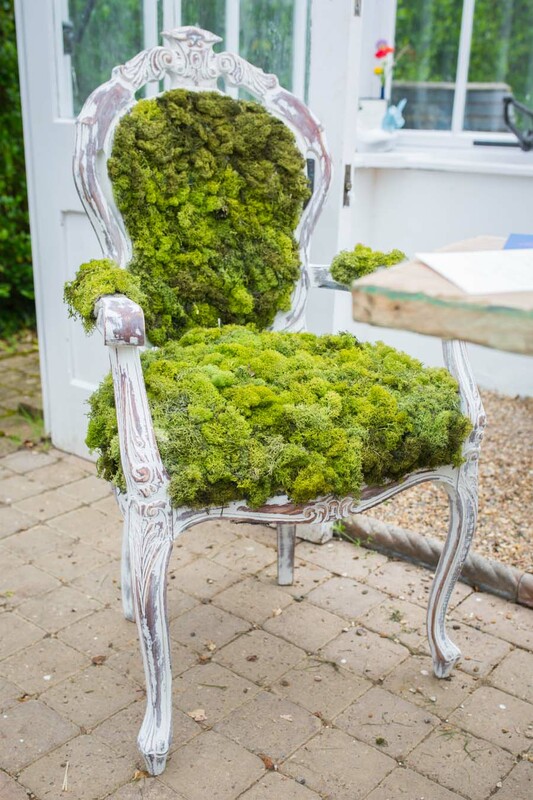 We chose suppliers who could bring a touch of bespoke and alternative to the look. 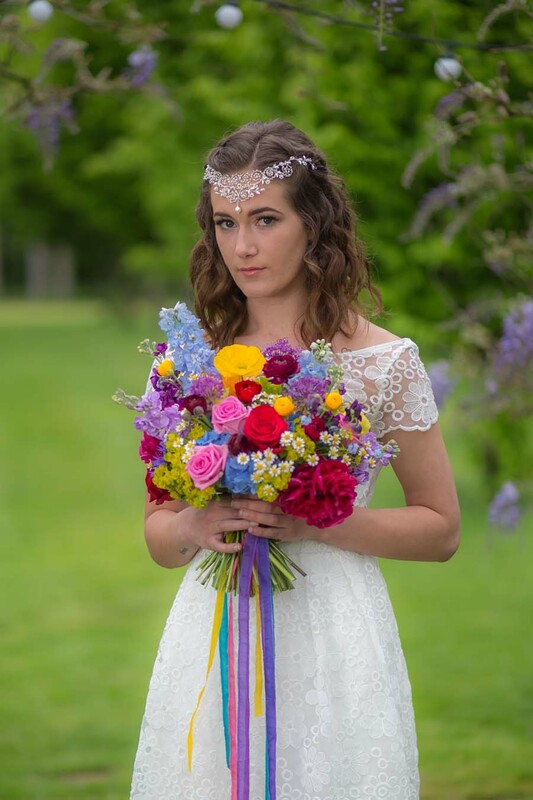 Everybody was just so amazing to work with. 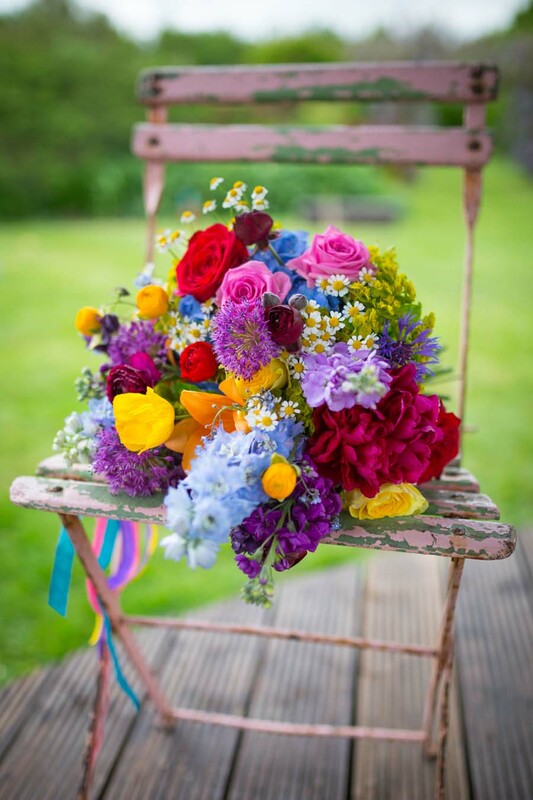 It was an incredibly long day but the team was so enthusiastic and lovely that our energy levels never waned. 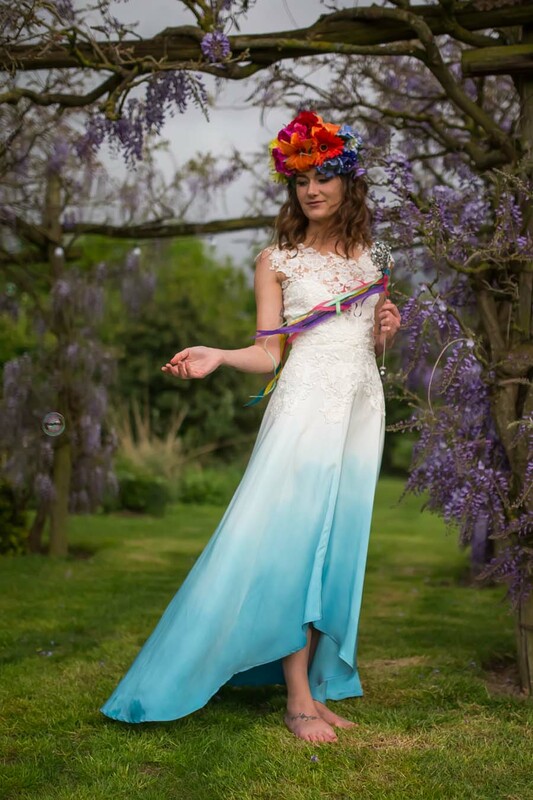 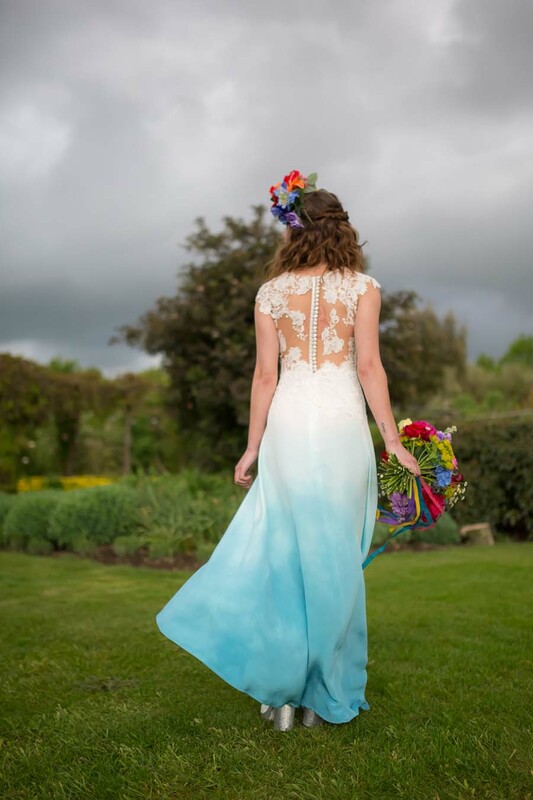 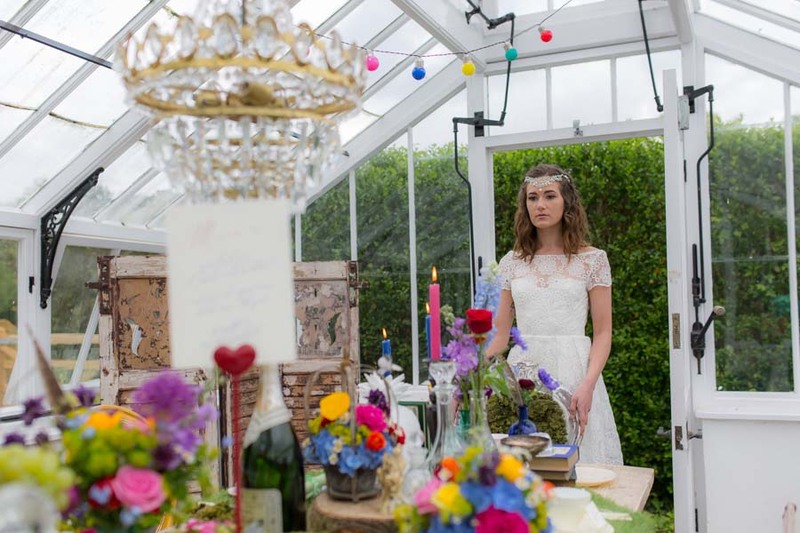 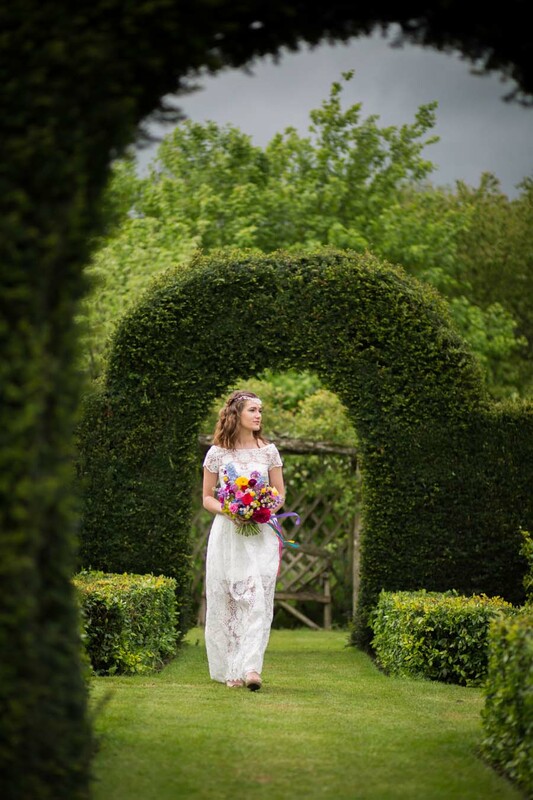 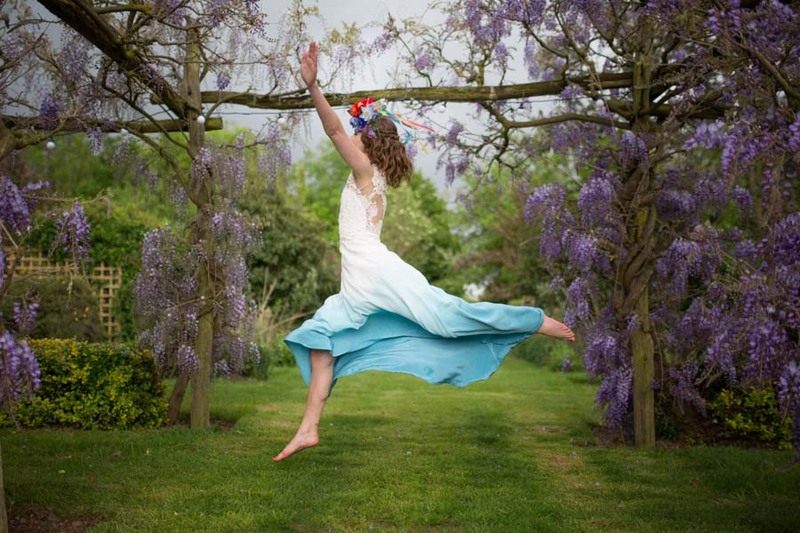 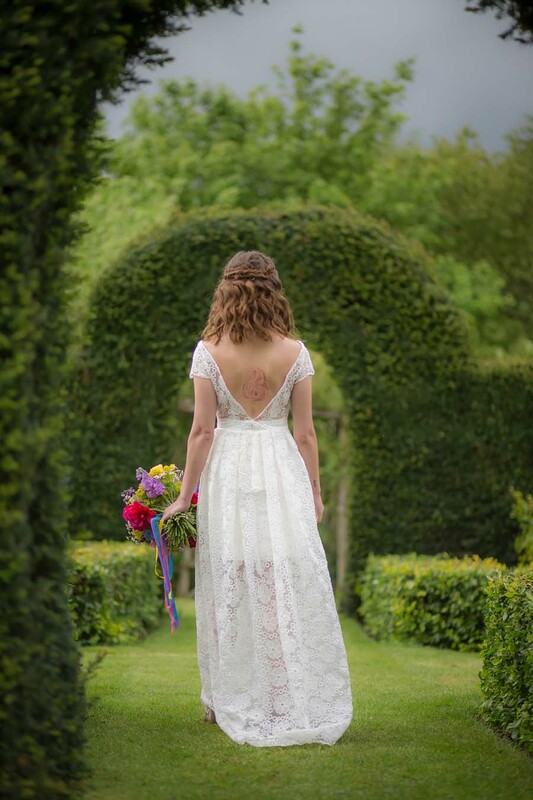 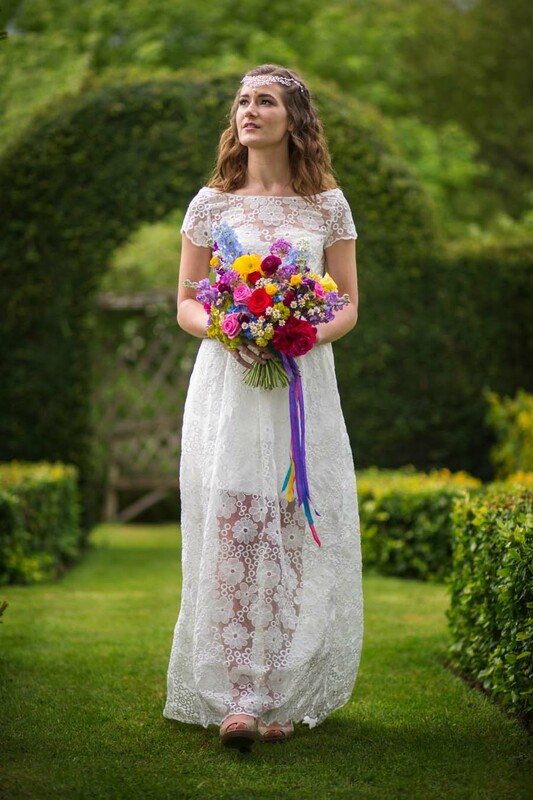 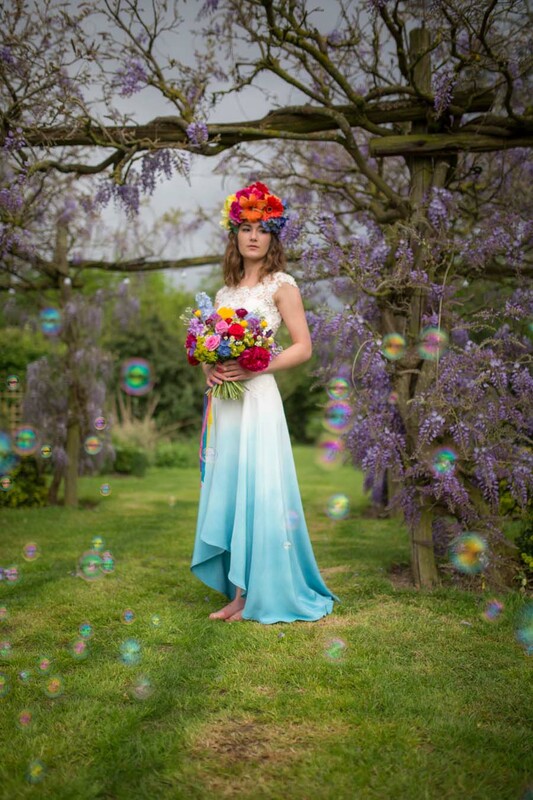 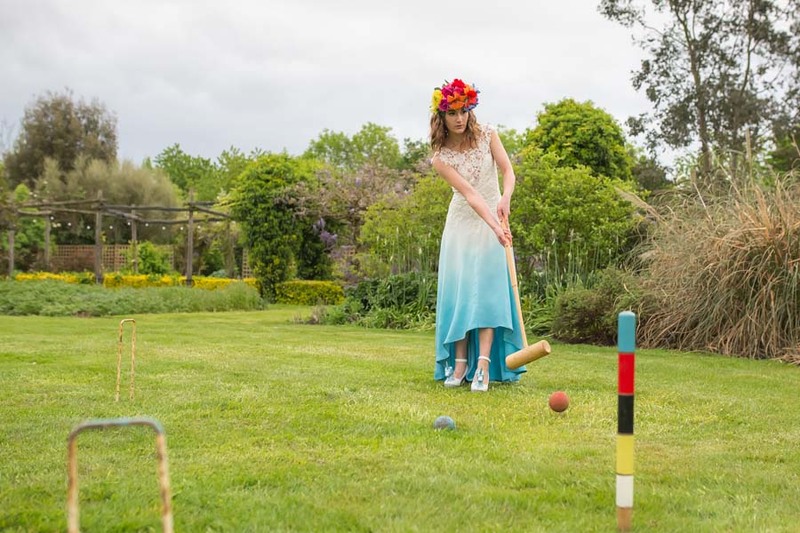 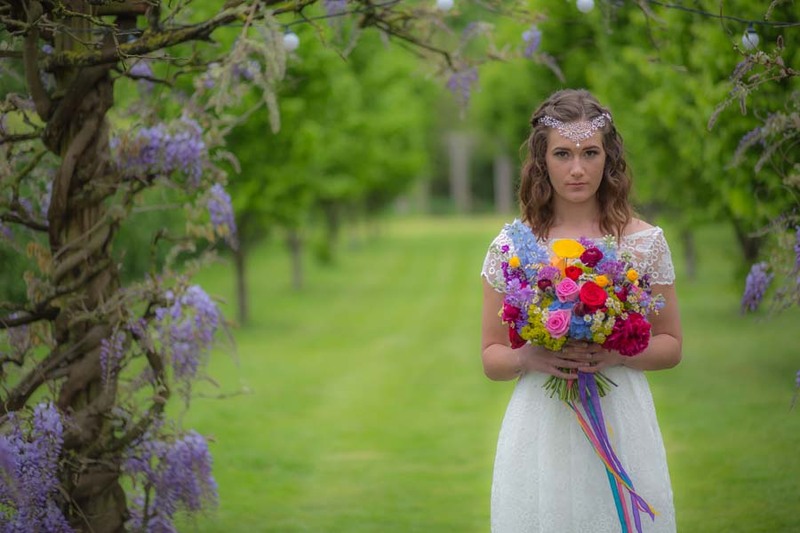 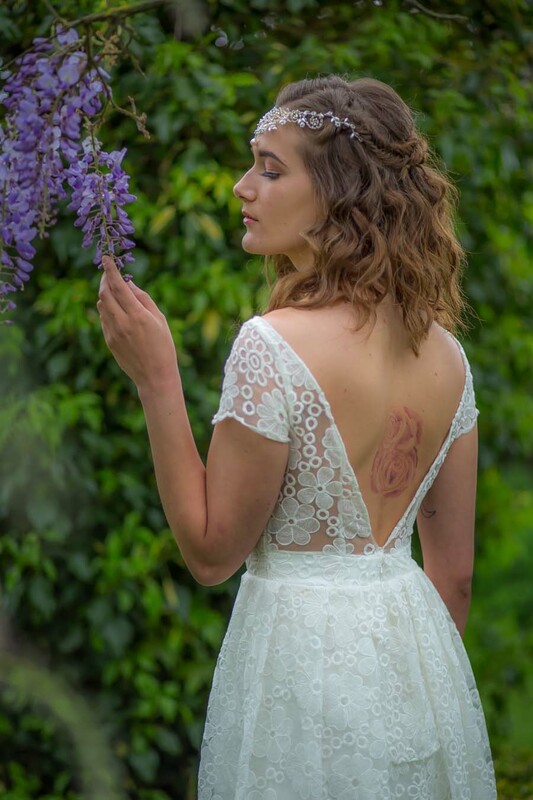 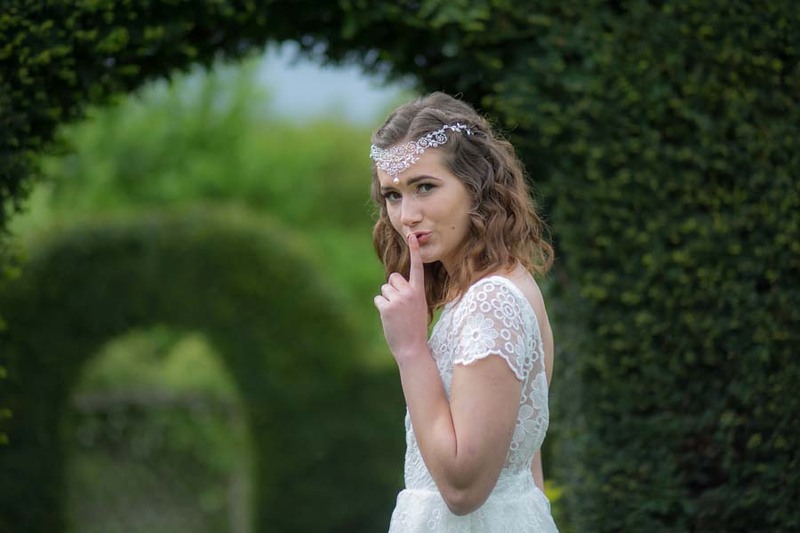 Lucy designed and made two dresses for the shoot; one a more regal length but in a young, boho style, and the other dip-dyed silk in Alice blue, that flowed beautifully as Sally, our model, ran through the natural outdoor corridors of The Gardens at Yalding in Kent. 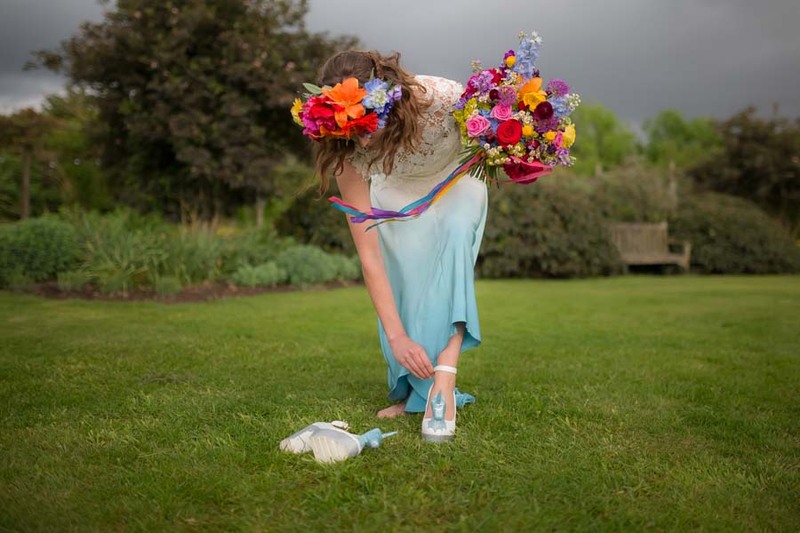 The unicorn from the novel had to be included somewhere, so he ended up on the shoes Lucy made for the blue dress. 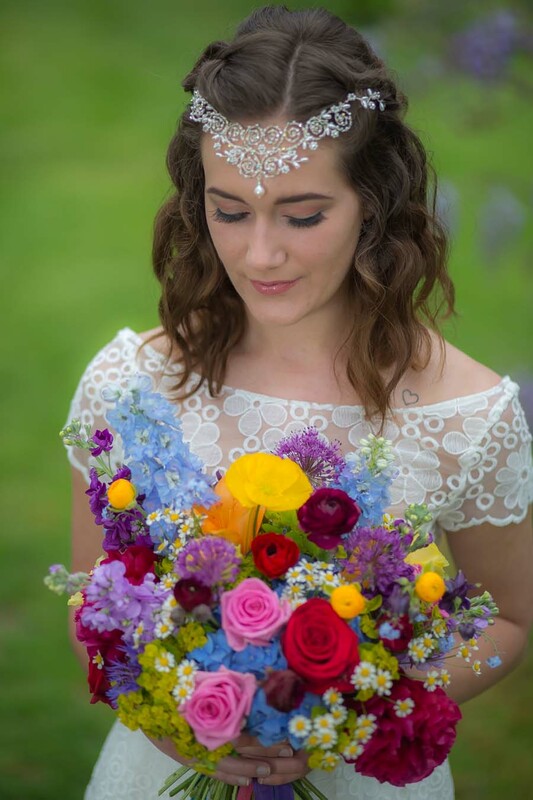 Sally wore two wildly different crowns to complete the look, and Kristy’s hair and make-up was light, fresh and shimmering. 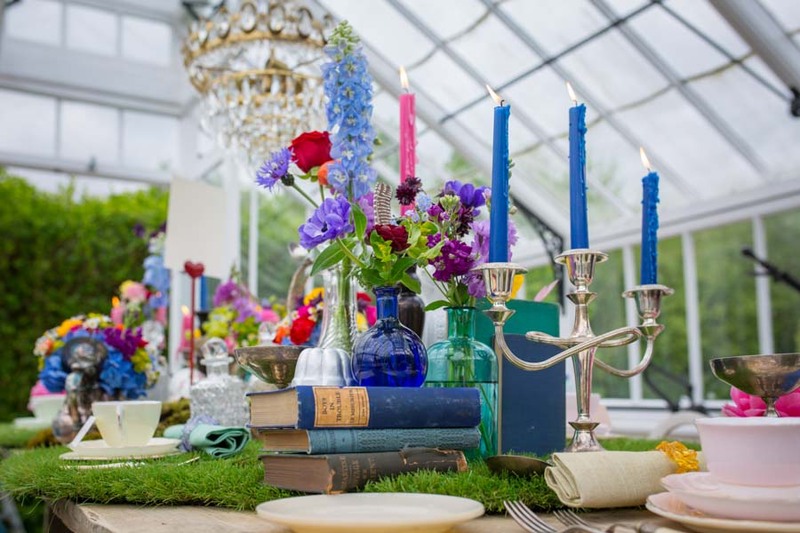 My favourite scene was the banquet in the Victorian glasshouse. 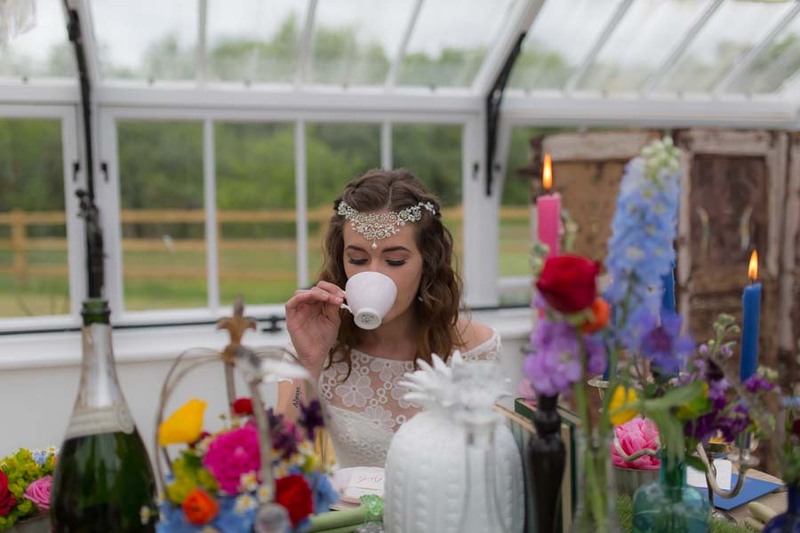 This was completely unplanned-heavy rain that morning meant we had to adapt, and this was one of those serendipitous moments. 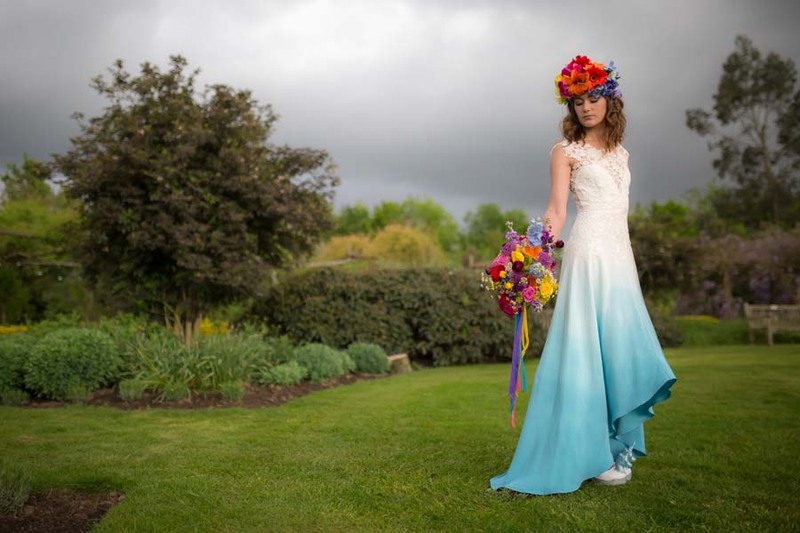 Rachael’s bright styling was the perfect antidote to the steely grey skies overhead. 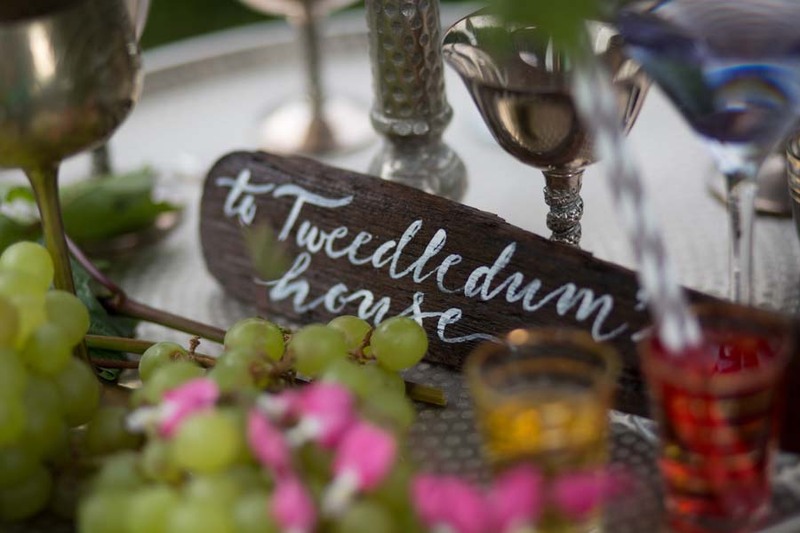 We had so much fun putting more and more onto the table, and we were amazed at how well we had all co-ordinated with each other- although we had planned it quite extensively, with a huge Pinterest board to work from.